Location: Chapel Street runs S from the town centre. The house stands 200m S of the junction, before a side entry to the rear. 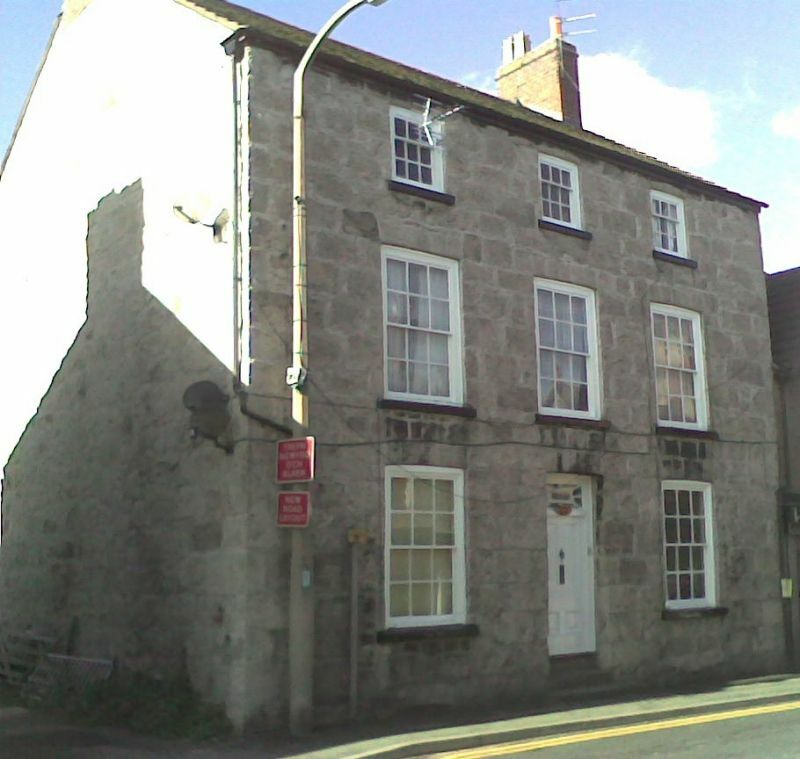 Built c1820 as a substantial town dwelling house. Built of coursed limestone with a slate roof. Three storeys and cellar, 3-bays, symmetrical with gable brick stacks. Central 4-panelled door with decorative overlight, raised 2 steps from the pavement, and 12-pane sashes to either side on ground and first floors. Painted stone sills. The top floor has smaller 9-pane sashes. To the rear, a narrow 2-storey service wing on the N side. Included as a handsome and unaltered Georgian style town house of architectural quality.